John has been on the judging panel since the inception of ISC in 1996 and became Chairman of Judges in 2007 following retiral of Ian Grieve, first chairman. He retired from Edrington in 2009 after 43 years in the industry with responsibility for Famous Grouse, Cutty Sark, The Glenrothes, Highland Park and Macallan. David has been a member of the judging panel for more than 10 years with responsibility for Wm Grants Standfast, Glenfiddich and Balvenie – he will complete 50 years’ service at Grants this year. Gordon replaced John Ramsay in 2009 as Master Blender for Edrington with responsibility for Famous Grouse, Cutty Sark, The Glenrothes, Highland Park and Macallan. Master Blender for Whyte & Mackay Blended, Jura and Dalmore single malts. Richard has been a judge for over 10 years with over 40 years’ experience in the industry. 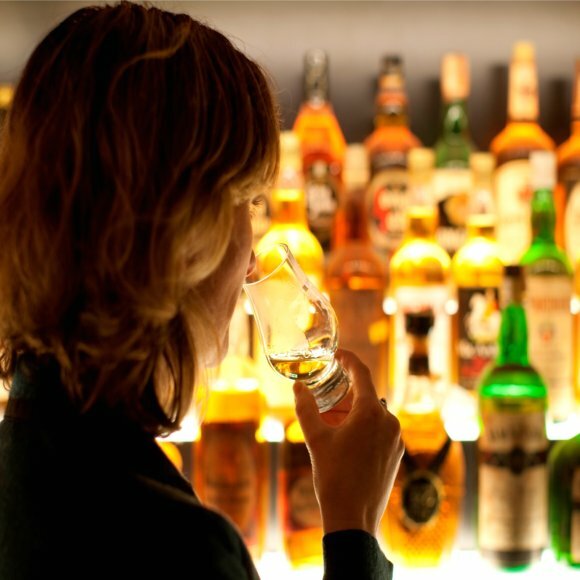 Caroline is one of several blenders for the Diageo team – Bell’s, Johnnie Walker and a host of other products. She joined the panel about 5 years ago. This is Chris’s first time on judging panel – Master Distiller for Woodford Reserve, a premium Bourbon product launched in 1996. Only American who is a Keeper of the Quaich. Seiichi is the Master Blender for Suntory, the premium Japanese distiller with some outstanding whiskies like Hibiki blended and Yamazaki Japanese single malt. He has been a judge for more than 10 years. This is Tadashi’s first time on the Judging panel as a replacement for Mr Hisamitsu both on the panel and as Master Blender at Nikka. Billy has been a member of the judging panel for about eight years with responsibility for the Jameson range and numerous other Irish expressions, liquid and vocal. This is Angela’s first year on judging panel with responsibility for the Mackmyra range of Swedish whiskies. There is a fantastic growth of non-Scotch whiskies across the globe and it was felt we should have representation on the panel from that source. She is well known amongst the blending fraternity and very experienced. If you have any questions for these folks, comment below and I will try to get a chance to ask them. This entry was posted	on Tuesday, June 5th, 2012 at 9:50 am	and is filed under Events. You can follow any responses to this entry through the RSS 2.0 feed. Responses are currently closed, but you can trackback from your own site.